Romance, intrigue, and trouble – that’s what Lady Victoria finds on her first day in London. That’s also what you will find throughout this novel. I loved Lazarus. He was such a lovable fellow. I just wanted to hug him. 🙂 I wasn’t particularly fond of Lord Witt at first, but he quickly grew on me, as he did Lady Victoria. I thoroughly enjoyed the book, which took me ONE day to read, and several hours of that day were spent doing other things. I devoured each page and dreaded having to put it aside for other activities. I stayed up late because I just couldn’t stop reading. Kudos to Jillian Kent for an awesome second book of the Ravensmoore Chronicles. While this is book two in the series, it is also stands alone. 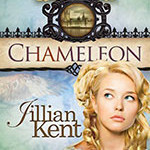 Chameleon is the story of Lady Victoria Grayson, fondly referred to as Snoop by her physician brother, Lord Ravensmoore. Lady Victoria journeys to London for the first time in her adult life after battling a chronic childhood illness that kept her home bound for years. She is embroiled in a hornet’s nest of intrigue when her brother is called upon to treat a Member of Parliament after a brutal attack. The Prince Regent has called Jonathon Denning, Lord Witt, from his home in the country to investigate Ravensmoore’s activities. The Regent isn’t so sure he wants one of his lords working a trade and expects to put an end to what he considers eccentric behavior. Jaded by his profession as a spy, Witt understands that some people are not what they pretend to be. 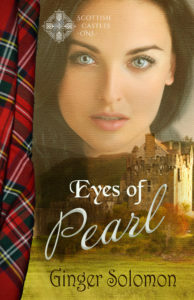 When he meets Victoria his cynical nature is challenged along with his doubts about God. Together they must confront their pasts in order to solve a mystery that could devastate their future. 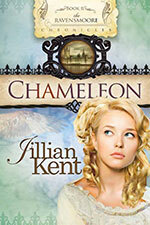 To purchase Chameleon, click here.